So whenever I turn on emulator, system sound changes. It feels like lower frequencies are cut off, or some strange filter is turning on. 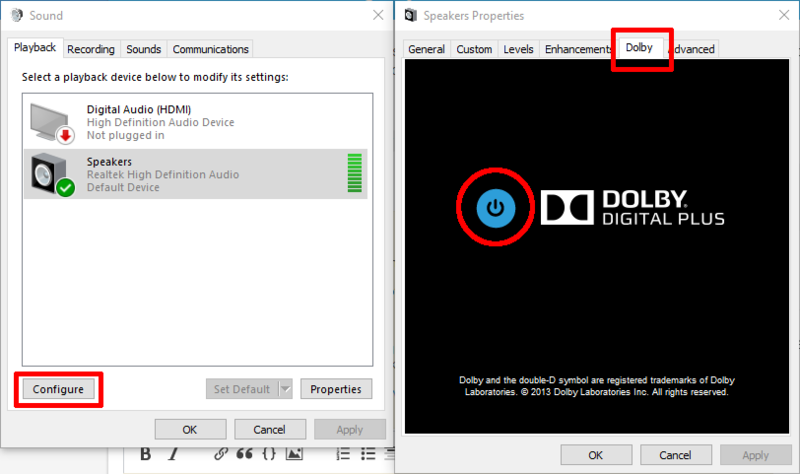 I'm running Windows 10 and I found that when launching the Android emulator, it would disable my Dolby audio enhancements. I simply had to turn it back on in the Sound properties. Not the answer you're looking for? Browse other questions tagged audio windows android-emulator or ask your own question. Is there a way to get my android phone to stop going back to the beginning of a song when I disconnect my bluetooth audio? How to make Android play music reliably, without chopping? Why do the system sounds keep turning on?